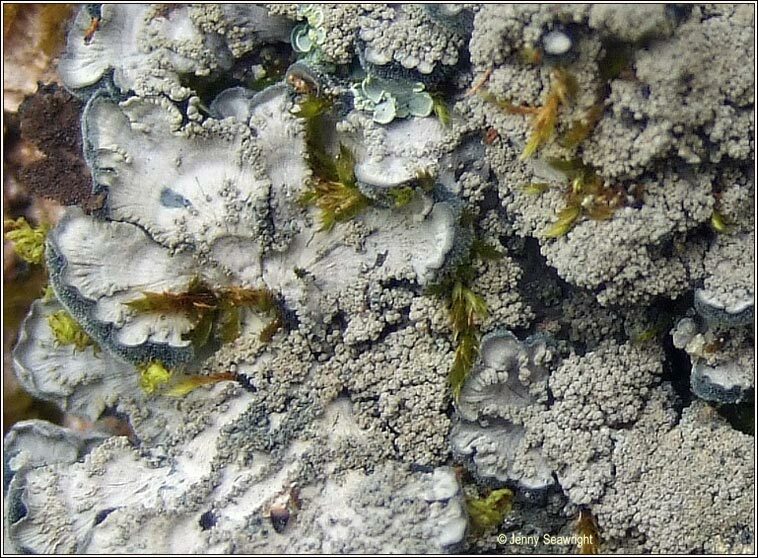 Photos: On Ash and coastal rocks. Co. Cork, SW Ireland. Thick bluish-grey lobes with fan-shaped ridges, the fibrous bluish-black hypothallus often extending beyond the lobes. 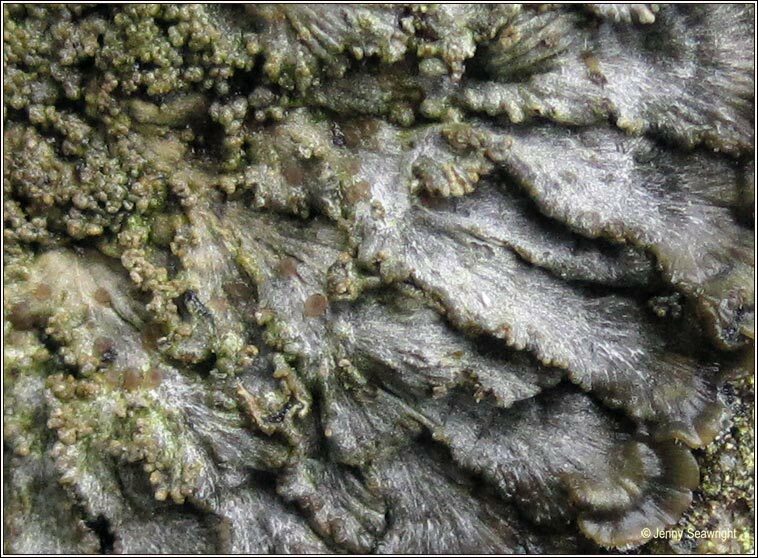 Grey, globose isidia can cover whole thallus which becomes areolate in centre. Apothecia are rare. 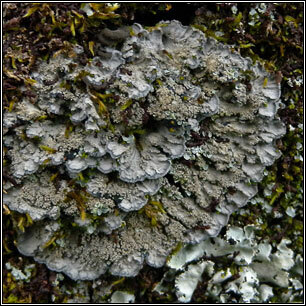 West of Ireland, usually on basic barked trees but also found on mossy sheltered coastal rocks. Chemical reactions negative.